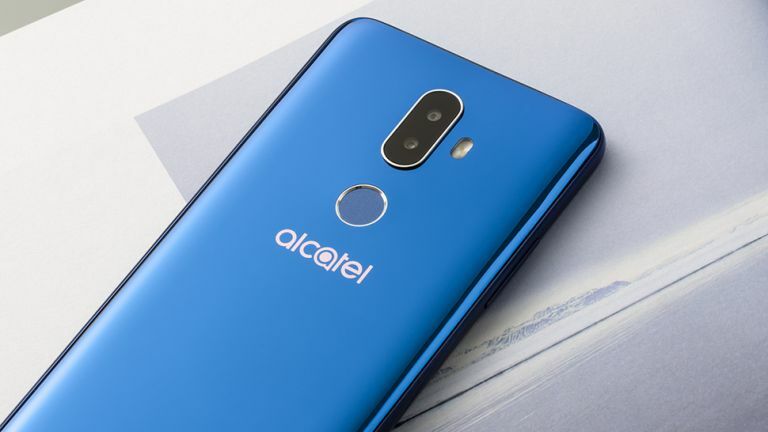 You may not be all that familiar with Alcatel – the French brand owned by Finnish firm Nokia and licensed by Chinese outfit TCL Corp (keep up at the back) – but while the name doesn't attract many headlines, it is attached to some rather decent smartphone devices. Here we'll guide you through all the best devices Alcatel currently sells. The firm has 33 phones on its books at the moment, so we're going to split them up by family and mention the best from each group – the ones to look out for when making your purchases. The Alcatel 5 is one of the newer members of the Alcatel range, and tries to marry a low price with respectable specs and build – a trick it manages to pull off reasonably well. It's not the most impressive phone in the world, but it's certainly very good value for the price. Inside the phone a Mediatek MT6750 processor is paired with 2-3GB of RAM and 16-32GB of storage (expandable via microSD card). There's a 5.7-inch, 720 x 1440 pixel screen here, as well as a single-lens 12MP rear camera that will usually get good results in good lighting. The design and build, as well as that 5.7-inch screen, are the highlights here – the rest of the package, including the camera and the battery performance, are just about on par but nothing more. The real standout is the price, because you can pick it up for not much at all. Alcatel specialises down at the lower-end of the market, but if you want something a little more mid-range, the 6-inch Alcatel A7 XL could be for you – the Mediatek MT6750S processor and 3GB of RAM should be enough to carry you through most tasks easily. The metal trim on the bodywork and the dual-lens rear camera give you just a little taste of premium, but this is very much a middle-of-the-road phone. We do like the hefty 4000mAh battery though, which should be enough to carry you through a day's use no problem. You'll also find plenty of other phones with an "A" moniker in the Alcatel range, depending on your region. The next best after this one is the 5.5-inch Alcatel A7 (no XL), which goes all in on the plastic case and has a smaller screen, but won't cost you quite as much to buy. Alcatel prides itself on value-for-money across all its devices, but the Idol 5S gives you more value and costs a bit more money than many of the other handsets here. It has a dash of premium in the design department, though you only get a 5.2-inch display. Under the hood the Mediatek MT6757 Helio P20 processor, 3GB of RAM and 32GB of storage are very solidly mid-range, while the 12 MP f/2.0 rear camera isn't dual-lens but will do most jobs well. It's one of the better Alcatel offerings if you've got a bit more to spend. As is typical with Alcatel, available models and prices will vary by region: you might also come across the standard Alcatel Idol 5, which is actually very similar, and the older Idol 4 phones. If you can choose between all of them, then the Idol 5S is the pick of the bunch. Considering just how cheaply you can pick up this phone, it's perhaps surprising that you get so much for your money... not least the 6-inch, 1080 x 2160 pixel resolution display, which makes use of an elongated 18:9 aspect ratio screen (but doesn't have a notch). Under the hood everything is kept running with a quad-core Mediatek MT8735A processor, 2GB of RAM and 16 or 32GB of storage (expandable via storage card, if needed). There is a dual-lens, 12MP+2MP snapper around the back, capable of some interesting bokeh effects. Also in this kind of price range we've got the 5.7-inch Alcatel 3X and the 5.5-inch Alcatel 3, both of which you can typically pick up for a lower price than the Alcatel 3V. In fact the 3V and the 3X are very similar in a lot of respects, aside from the screen size and resolution. Another of the phones Alcatel has launched in 2018, the 5.3-inch Alcatel 1X supports Android Go – the specially tweaked version of Android launched for basic handsets. The specs here are very average, but you can also pick up the phone for a rock-bottom price. Inside there's a Mediatek MT6739 processor, 1-2GB of RAM and 16GB of storage space (so you probably want to make use of that microSD card. There's a single 13MP or 8MP snapper on the back, depending on which part of the world you're picking this up in. In some parts of the world, you might also come across the 5-inch Alcatel 1 (without the X) – basically it's an even cheaper phone with slightly less powerful specs (and only 8GB of storage). If you've got a head-to-head choice between the two, go for the Alcatel 1X. You're only really going to be buying the Alcatel U5 HD for one reason: its price. In that regard, it's actually quite impressive – it's not very easy to get yourself a smartphone and part with so little cash as you can with the Alcatel U5 HD, launched at the end of 2017. Of course you shouldn't expect much in terms of specs at this price point. There's a small 5-inch screen, a Mediatek MT6737 CPU, just 1GB of RAM, and a mere 8GB of storage – though fortunately the phone does have a microSD card slot for adding some extra room. You'll find other U5 and U3 phones being sold by Alcatel, but they really are bargain basement – the HD one is the one to go for, if it's available where you live. It can connect to 4G LTE networks, and is fine if you just need the basics and not much more from a phone.